Tonero trucks have been proving their performance in different industries since 2007: celebrating 10 years of simply getting the job done with the Tonero forklift. 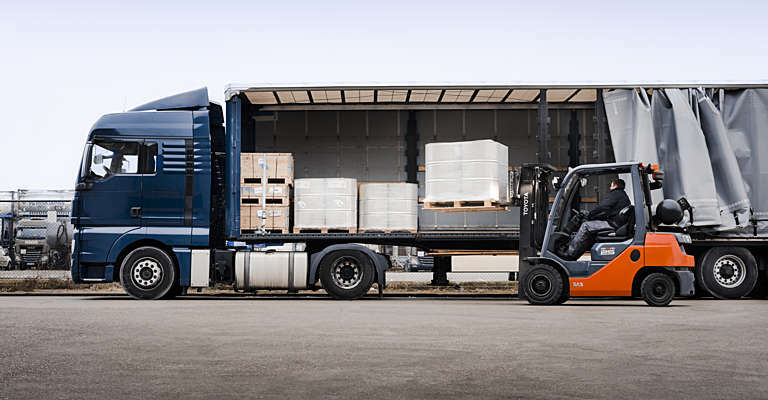 The Tonero engine-powered counterbalance trucks from Toyota have been supporting customers across Europe in keeping their business moving, with ten years of continuous improvement on the entire range thanks to customer feedback. 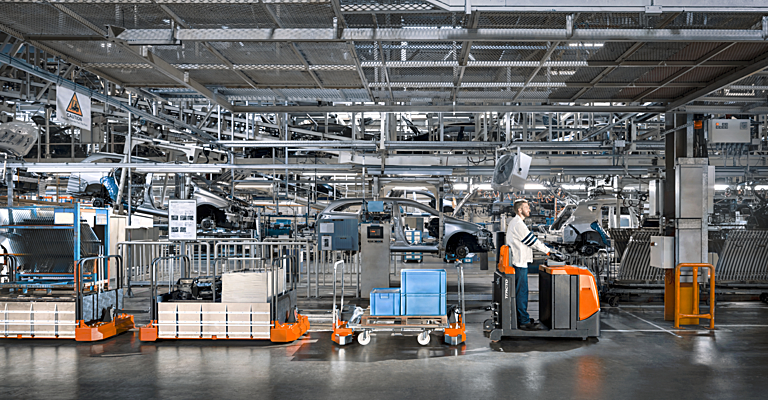 The Toyota Production System (TPS), continual research and development have contributed to a counterbalance truck with a choice of transmissions and robust Toyota industrial engines, proving performance in quality, safety, and robustness. 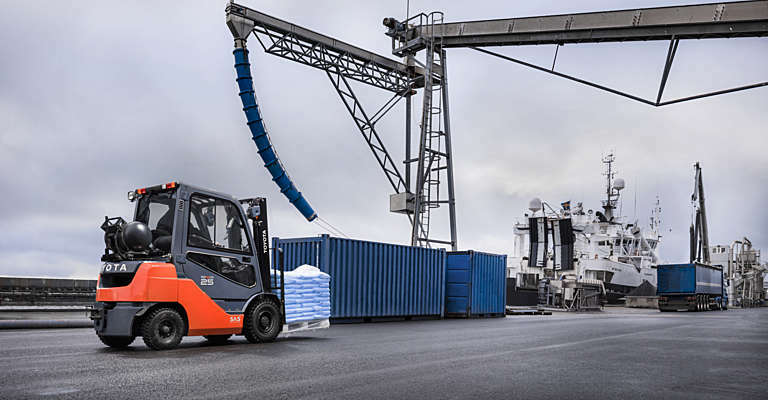 The durable chassis in combination with the cabin and industry-specific attachments make the Tonero range appropriate to handle all weather conditions in ports, protecting not only the truck and the load, but also offering the driver essential comfort, as stated by a customer in the industry here. The ultra-lean 1ZS engine, available on all torque converter models between 2 and 3.5 tonnes, adds value in harbour environments where drivers tend to over-rev the engine when covering longer distances. Independent tests have shown that the 1ZS reduces the impact of heavy driving on energy consumption, which normally accounts up to 35%. The choice for a hydrostatic transmission is a perfect match for this industry, providing exceptionally smooth control and manoeuvrability, in combination with the high lift height and higher seating position for optimum visibility for the driver. The Tonero trucks can also be equipped with attachments specific to the beverage industry, such as double forks for increased productivity. 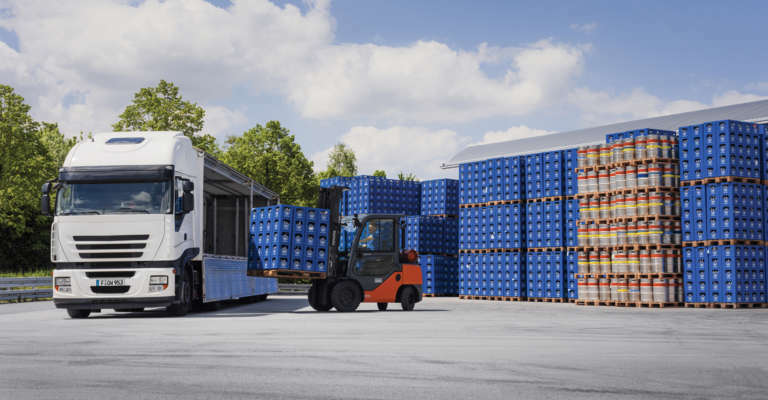 The tilt angle and speed control of SAS (System of Active Stability) further contribute to productivity as well as safety, minimising damage of these fragile loads. With their standard truck height allowing the trucks to perfectly enter containers, the Tonero range up to 5 tonnes is also an exact fit for the transport industry, as stated in the customer testimonial here. With increased driveability during long-distance transport thanks to the SAS feature Steering Wheel Synchroniser in combination with Load Sensing Power Steering, which comes as standard on all models in the Tonero range. This technology offers all drivers a more intuitive steering feel, while retaining a consistent response no matter the weight of the load, hereby saving between 7 and 14% on fuel. The wide range of diesel or LPG-powered counterbalance trucks with torque converter or hydrostatic transmission make the Tonero models suited for any type of manufacturing operations. With optimum visibility and manoeuvrability for inside applications, as well as different possible attachments for every type of manufacturing, which is confirmed by different customers here. The well-protected industrial engines, 1DZ-III and 1ZS, eliminate the impact of dirt or dust in this industry. The unique System of Active Stability boosts productivity, especially in combination with attachments such as the rotator and clamp, specifically designed for handling waste. The robust Tonero is also designed to protect the engine in rough and dusty construction environments, and offers stability thanks to the SAS features to safely handle heavy-duty loads. The trucks will simply do the job in these environments thanks to their durability and reliability, as stated in the customer testimonial here.